Come and get it, Vancouver! 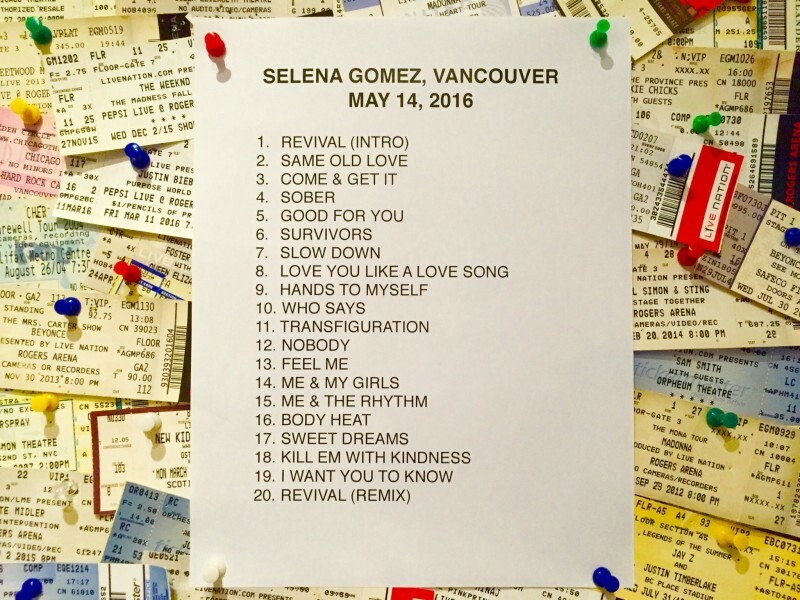 Pop music princess Selena Gomez is bringing her massive, 74-date Revival Tour to Rogers Arena tonight. The 22-year old singer released her critically acclaimed album Revival last year, marking the first time Gomez has served as executive producer on any of her music. Tonight’s show will draw heavily from the new record with performances of “Me & My Girls”, “Hands To Myself” and “Good For You”. Vancouver fans who are not reading this article are in for a surprise – Gomez will perform “Feel Me”, a brand spanking new track that hasn’t appeared on any of the singer’s albums. In addition to the new stuff, fans will hear a handful of older hits tonight including a remixed “Love You Like A Love Song” and an acoustic version of “Who Says”. “Come And Get It” will also make an appearance despite the fact that Gomez isn’t exactly a fan of the song. She famously called it “a Rihanna reject” but said “it’d be stupid not to acknowledge it”. Noticeably absent from the setlist is 2015’s “The Heart Wants What It Wants” which is rumoured to be about on again-off again boyfriend Justin Bieber. Gomez said she 86’ed the song because “it’s like when you smell a scent and it takes you back to a place that maybe wasn’t the best place”. The same could probably be said for “Girlfriend” by Justin Bieber, a perfume set available at Walmart for under $20. Tickets for the Revival Tour are available for purchase here, and Gomez is donating some of the proceeds from each show to the Alliance for Lupus Research.